Tarzan. The Last King of Scotland. Gorillas in the Mist. The Lion King. The list goes on. Traditionally, Hollywood movies depicting Africa have been overly sensational, highly inaccurate, gratuitously barbaric, focused on wild animals, and often lacking any semblance to what many Africans know as Africa. 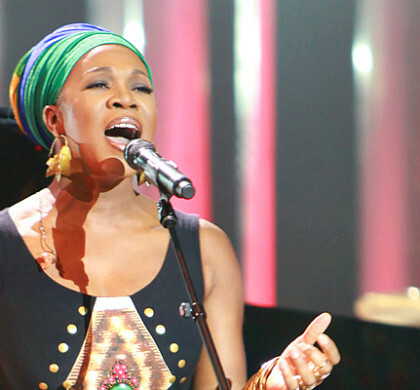 But first, let’s address the concept of Africa as a country. It’s not. It’s 54 distinct countries, cultures, traditions and thousands of languages—a fact that, to this day, often eludes Hollywood executives and directors. There’s no excuse for this ignorance in an age where a quick trip to Madame Google can inform you that Swahili is not the official language of Nigeria. Nor did Tarzan really exist. Besides that, the vast majority of Africans on the continent will never see a lion roaming in the wild in their lifetimes. Hollywood has historically been careless in its representation of Africa and Africans. That’s why I wasn’t surprised when in Civil War, the last installment of the Marvel’s Avengers franchise, the imaginary country of Wakanda (home of the Black Panther), was shown to be located in the region of Northeast Africa near Uganda; however, its inhabitants apparently spoke Xhosa—a South African language. And as much as I love Will Smith and have seen almost all of his movies, Concussion was not his finest hour. I give my man credit for trying, but ask any African about how convincing he was in his role as Nigerian forensic pathologist, Dr. Bennet Omalu, and they’ll probably just shake their heads in frustration—or confusion. What accent, exactly, was he going for in that movie? Because I certainly wasn’t able to figure it out. A good part of being convincing as an actor entails taking on the mannerisms, persona, and linguistics of that particular character in a way that makes people forget you’re acting. 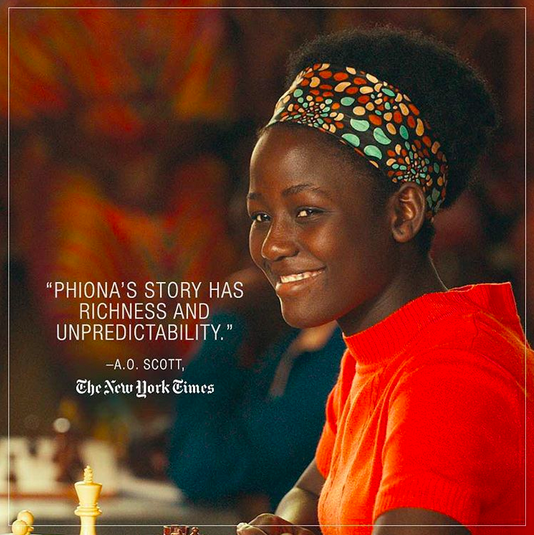 I first saw Queen of Katwe at a private screening in New York this past August. And then went again recently with my daughter to our local theater. Although I much preferred the New York screening (it featured a surprise guest appearance by Queen of Katwe star, Lupita Nyong’o and Disney Executive Vice President of Production, Tendo Nagenda, who was instrumental in bringing this film to the big screen), I was more than happy to pay to see it again. It was that good. In fact, I would have to say, it is now one of my favorite movies of all time. Admittedly, I may be a little biased since I am Ugandan after all, but I’m not the only one; the reviews speak for themselves. What I loved most about the movie was its authenticity. Despite Lupita being Kenyan, she played the role of a Ugandan mother trying to provide for her family in the largest slum in Kampala so well, that I forgot she was Kenyan. I think the measure of an incredible actor is the degree to which they make you forget they’re acting, and instead completely absorb you in the story. Both Lupita, and co-star David Oyelowo (of Nigerian descent) did that magnificently in Queen of Katwe. 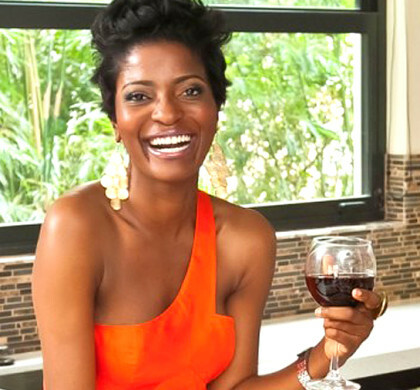 In African movies especially, the accent—which is completely different depending on which region of the continent you’re in—will give you away. Not once did I feel Lupita or David’s accents were manufactured. In fact, I could tell they really took some time to understand and study the nuances of Ugandan language and expression. And it made all the difference. I give a lot of credit to Mira Nair, the film’s director (of Mississippi Masala and Monsoon Wedding fame) in how well this story was told. 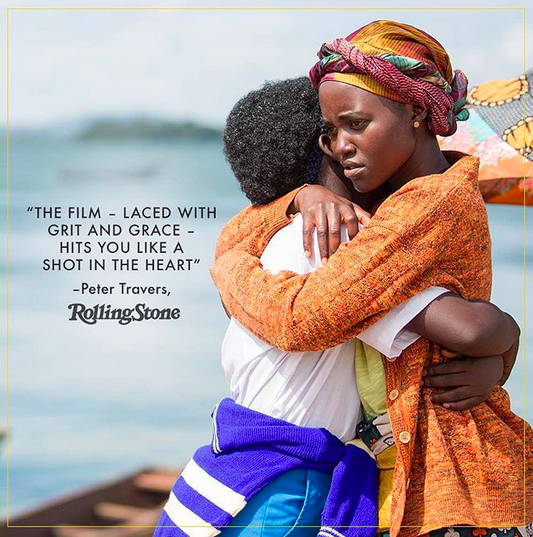 Rather than focusing on the inequities and abject poverty of Katwe, the storytelling made the place into a colorful character, while the characters became masters of their own fate. This fact will not escape those of us who are used to African movies that normally require a “White savior” to have a happy ending. David Oyelowo expressed this sentiment so eloquently in a Facebook interview discussing the movie. In this clip from Kenya NTV, he speaks about how he got his accent to be “on point” as well as why playing Robert Katende in the movie was so important to him. 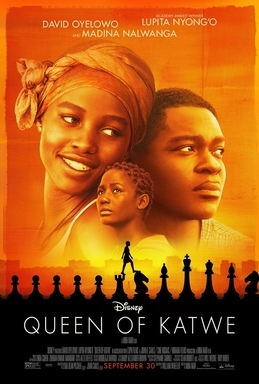 The fact that Queen of Katwe is a true story makes the movie that much more powerful. The fact that it is a true story that was depicted by a 100% African starring cast in Africa, and told by Disney makes it remarkable. If you haven’t already gone to see this life-changing movie, go see it today. If you have…go see it again. Because for once, Hollywood got Africa all the way right and if we want more movies like this, that’s something we should all support. You can believe I’m going to see this at least 2 more times. The true depiction of my land, my culture,,my people makes me long for the Motherland that much more. Outstanding review Juju!